This website is operated by Bladz Skate Shop. Throughout the site, the terms “we”, “us” and “our” refer to Bladz Skate Shop. 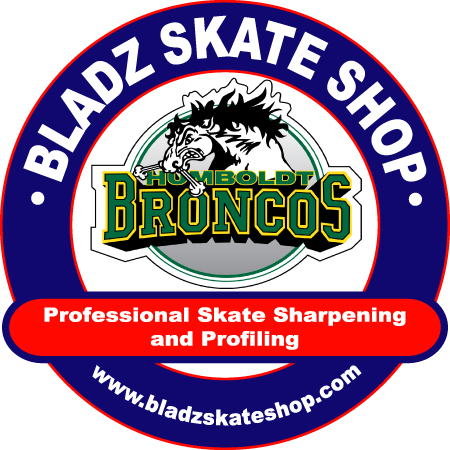 Bladz Skate Shop offers this website, including all information, tools and services available from this site to you, the user, conditioned upon your acceptance of all terms, conditions, policies and notices stated here. At Bladz Skate Shop we try our best to maintain high levels of inventory, however, occasionally products may run out of stock. We will notify you of out of stock items within 1 business day after your order has been placed. All orders must be paid upon order remittance. Once you place your order, you can pay by VISA, Mastercard or Debit through our website. At this time, we only offer shipping within Canada. All orders are shipped through Canada Post. Once your order has been shipped, you will receive a tracking number by e-mail. Orders are also able to picked up at our Kingston, Ontario location. Note: All packages are sent with no signature required for them to be successfully delivered. If you’re not home when your order arrives it will be left by the front door of your home. If you prefer that your order requires a signature to be delivered, contact us before ordering to arrange that with our shipping department. If left as “no signature required” you the customer assume all responsibility for the package once it has been successfully delivered by Canada Post. After an order is placed, it will be processed and shipped within 1-2 business days. Orders placed in Ontario & Quebec will arrive an average of 1-2 business days after they have been shipped (2-4 days after the order is placed). Orders placed in other Provinces or Territories may take up to 7 business days to arrive after being shipped (8-9 business days after the order is placed). Shipping fees are calculated at checkout. Shipping fees are calculated by Canada Post based on the size and weight of your order. We do not add any additional shipping or handling charges. If you order the wrong size of skate blade, you can return or exchange the blades within 30 days of your purchase. If returned, you will be issued a store credit for the full amount of your purchase, minus shipping. You will also be responsible for the cost of return shipping. If exchanged, you will be responsible for shipping the old product back to us, as well as the cost of shipping the new skate blades. Upon receiving your shipment, we recommend checking it for damage and to confirm that you have received everything that you have ordered. All STEP skate blades carry a 1 year warranty. Skate blades that are broken within that time will be either be replaced, or a store credit will be issued for the full amount of your purchase. Broken skates do not need to be sent back to Bladz Skate Shop, instead follow the instructions below for submitting a return claim. Product code, description and quantity. Photos of the damage to the product. In the case of skate steel, we also ask that you include a photo of the the serial number printed on the blade.